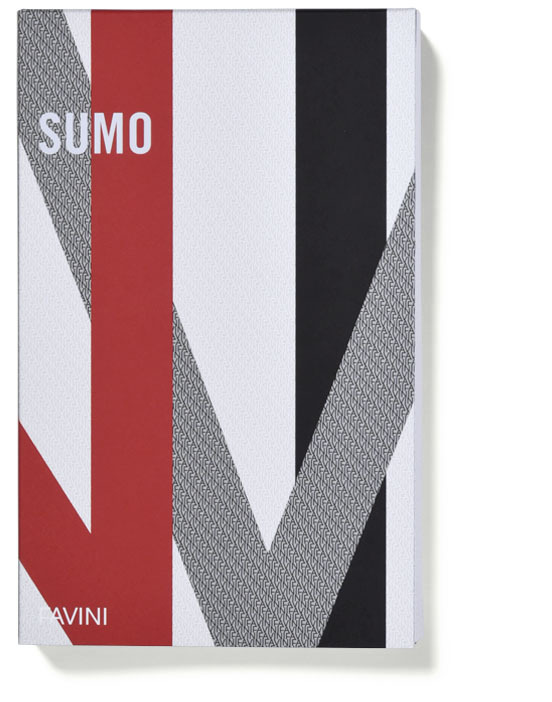 Sumo, the new Favini superior quality board, is ideal for a sharp and outstanding communication. Additional to its warm off-white and elegant black, Sumo now offers new tinted solid boards: intense blue and two greys, plus an energetic red and a strong kraft brown. Thanks to the dyeing process, the colour distribution is consistent throughout to give sophisticated results especially when the edge is visible. The finest quality makes Sumo perform excellently in the areas of invitation, tags, covers, business cards, luxury POS material and high-end packaging. Perfect for the most demanding creative projects.